Small parts are more difficult to count, measure and handle. They tend to cause more errors than case picking or larger component orders. If you are having errors, you should try to define the causes — and the suspects abound. Can you find out what’s causing the errors? Once you do, what happens next? Here are some common causes and solutions to this issue. Consider the DMAIC process of six sigma as you start the pathway toward process improvement. The first step of DMAIC is “define.” So define your error problems — why are the counts off? Is it a wrong SKU, or an incorrect quantity? What are the common mis-picks? What are the root causes of the various errors? When you know that, you can systematically pursue and eliminate the problems. Are similar parts slotted too close to each other? Solution: Slot items that are visually different or different sizes next to each other so that mis-picks based on size or appearance are minimized. If you mix the slot bin with small sku’s and large sized sku’s side by side, it is more difficult to make mistakes and easier to get the order right. 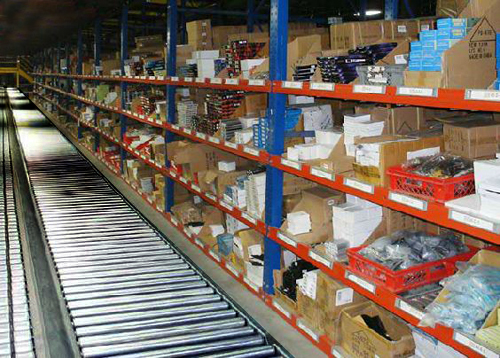 For instance, a shelving unit could mix parts bins for small parts with bulk storage of larger ones on different shelf levels, or beside each other and the same level. How do you deal with high quantity picks? It’s much easier to pick 3 of an item than it is 43, and as workers get deep into long shifts, picking mistakes become increasingly common even for the most focused, best workers. Counting can be interrupted; focus can be lost. It’s one of the more difficult challenges for this problem. Voice picking systems may be helpful. An easy instance might be a quantity of 43 fuses. In this case, at least with some systems, your pickers can use the voice system as a calculator, grabbing five at a time and informing the system that they have five, five, five, five, five, five, five, five, and three each grab. Since those systems aren’t always possible, a system of buddy checks or double counts is advisable when it comes to keeping pace with large quantities of small items. Pre-package small parts into bags, in rounded quantities. When a quantity order of 53 comes in, the picker can simply grab five bags of ten and three loose parts to fill it. This means that whoever packs the bags must be right, but that can be done outside the pressure of filling active orders. Your suppliers may agree to provide prepackaged parts so that you don’t have to do it when you receive the inventory. If you sell odd quantities, you’ll have to have two slots for each thing, one for the loose pieces and one for the bagged parts. Separate the each-picks and the bag-picks on your pick lists. This way, you can pick one bag of (say) 25 parts on one line, and the remaining individual picks on another. This takes away the need for order pickers to do any quick math on the needed quantity, since it’s separated for them into different items on their lists. Provide clients incentives to buy in your designated quantities. For instance, if your sales history says that you frequently sell 25 or fewer of an SKU, provide discounts at 15 to help customers purchase the pre-bagged quantity, rather than 12 or 13. Some operations simply put a minimum purchase or fixed quantity of the bagged quantity to simplify picking. The potential for this concept depends on your market and situation. Do you have adequate space for picking and packing? Are the pick zones and pick towers maxed out? When pickers are crowded, they tend to make more errors. Solution: find ways to slot and move pick positions so that there is ample operating room, particularly in storage positions where many small parts are picked. Clutter and crowded workstations breed mistakes. This is another instance where 5S or lean layouts can help, by clarifying and simplifying the situation and giving your people the right amount of space to operate. 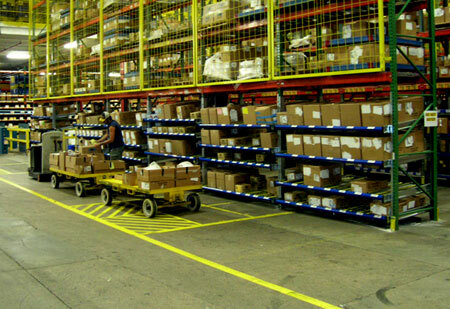 You should consider conveyor workstations that help organize the work area, providing space by tightly slotting packing or other supplies into designated areas, and away from the work surface. Are order pickers sliding into a rut? People doing the same thing for long hours, day after day can get into a rut; things blend. This is a serious problem in small parts picking operations, since many components are so similar. Mistakes are easier to make. Solution: You want people’s minds engaged as they pick orders, so it’s a good idea to vary jobs, pick positions, etc. Change the slot or bin location when errors with a particular part emerge. This forces the picker to pay more attention to the location than what she thinks she knows. Is it possible for pickers and packers to switch jobs, just to help them understand each others’ situations, and to vary the workload and avoid the kind of visual and mental “blending” that plagues functions? Bonus: you start to cross-train your people so they have a greater understanding of the various types of parts and situations that occur around them. If you are picking by weight, is the equipment calibrated? Conveyors with integrated weigh scales and an acceptable tolerance can be extremely accurate, if your system is correctly configured. Your system may allow you to route “exception” lanes when the scale senses an incorrect weight. If you utilize scales, be sure the scales have been calibrated recently to ensure accuracy. 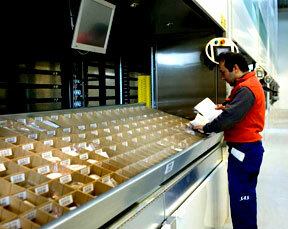 Solution: routinely maintain, check, and calibrate any in-line or freestanding scales used in the order picking process. Are there just too many employee errors? People sometimes make mistakes, no matter the processes set up around them, and small parts is one of the likeliest places for quality control issues. 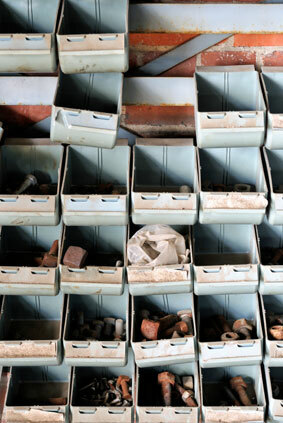 Check the work of pickers who have a history of errors. Find ways to improve or remove those pickers. Assign permanent employees to check the work of seasonal temps or new employees. Your experienced team members can often correct issues to do with technique or knowledge. Use your best workers to do the most important work. For “hot” orders, highly important customers, or critical orders, utilize your most experienced pickers and double check them. Focus on the worst offenders. For problematic parts, assign quality control/double checks every time until you have reduced error rates. Do your pickers believe productivity is more important than quality? Find out if the picking team feels pressure to increase throughput to the point that it could cause errors. If pickers believe that management is more concerned with productivity than quality, error rates can increase. How are you coping with small parts issues in your picking operation? Drop us a comment, or shoot it to our Twitter account, @CiscoEagle.